where can i buy prednisone over the counter neurontin 300 mg cap Key: GW – Global Warming. CC – Climate Change. CE – Climate Engineering. We think we have identified a couple of rather unfortunate (for the alarmists) and fatal flaws in the GW/CC/CE hoax. 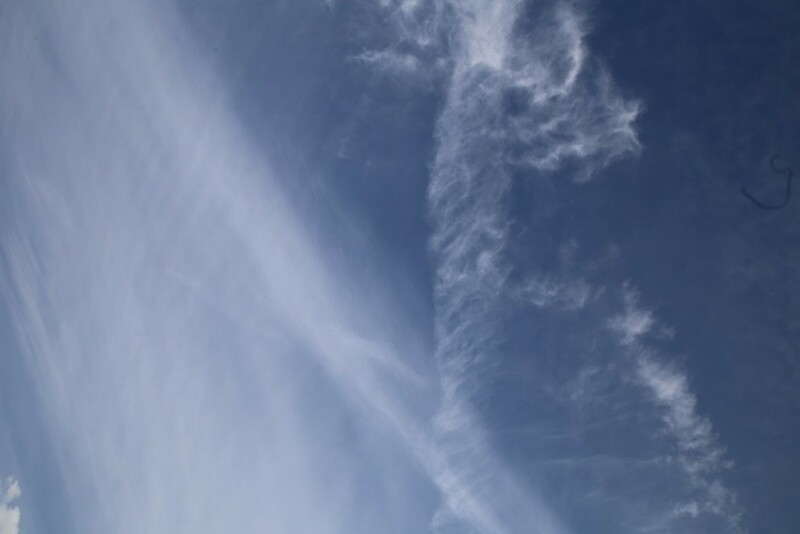 A number of scientists at the latest Climate Engineering Research symposium in Berlin stated that Cirrus clouds cause the atmosphere to warm. NASA reported this as long ago as 2004 in this article on their website. COSIC is a research program which has been conducted into the formation of induced cirrus clouds by aviation. Spearheaded by the University of Leeds, discussion have taken place between representatives from the aviation industry (including Rolls Royce), government, civil society and the media discussing the state of the science with aviation-climate scientists. It is interesting to note that Rolls Royce and representatives from the media were present. It seems very suspicious that this combination of people need to meet to discuss this in private, and yet no mention of aviation “pollution” is ever heard in the increasingly alarmist reportage of our supposedly changing climate. We spoke to Richard Hedges – a chief engineer at Rolls Royce – some time ago in a recorded conversation during which we posed as environmental campaigners and we were told that EU regulations governing engine emissions are very tight now, and that their engines are so clean that emissions are extremely low compared to past decades. In view of this he said that nothing visible should be produced by any of their engines. Why then do we see huge plumes of all types emanating from aircraft with their engines. Why are the media there? It seems obvious to us that this was a strategy meeting. We know Jim Haywood of the MET Office to be entirely complicit in the GW/CC/CE hoax so it is hard to see this meeting as anything else. 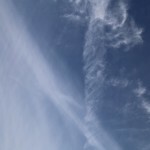 Commercial aviation now creates vast amounts of cirrus clouds – let’s leave aside whether you believe it is a natural by-product of aviation or as a result of chemicals sprayed deliberately as we do – it is clearly visible in our skies on most days and even visible on Satellite websites. We see persistent trails spreading over vast areas to form blankets of thin cirrus clouds. Alarmist scientists, politicians and mainstream media are squealing with increasing hysteria about our world warming and an impending climate catastrophe that apparently awaits us, despite the fact that global, surface, mean temperatures have not increased for 19 or more years and yet nobody ever mentions contrails? WHY? Perhaps this COSIC is designed to try and forge some pseudo-science that will explain away the trails we see. Well, forgive me for stating the obvious, but if cirrus causes warming and planes cause cirrus then surely planes are responsible for warming so we simply need to cut back on aviation or make the planes not cause cirrus. Obviously we feel the latter is the easiest as you simply stop spraying 10-12 megatons tonnes of whatever it is they are spraying into our sky every year but let’s focus on the Elephant in the atmosphere for now. Much is made in the press about our weather becoming increasingly crazy but NOAA data suggests storms in the US are at an all time low. The perception of crazy weather is purely as a result of alarmist reporting in the media. Floods and storms have always existed but every time it rains now we seem to be in the grip of what we are told is a national emergency. One very interesting thing we picked up on at the Cambridge University Climate Engineering Science symposium in March this year was a very interesting slide of a model simulation by Prof. Stephen Salter showing that if 5 megatons of SO2 aerosols were pumped into the atmosphere globally per year it would cause warming in the Arctic regions and an increase in severity and frequency of storms in the Philippines region. Now does anyone think that sounds a bit like what is happening now? Of course both Arctic warming and the severe storms in the Philippines region are blamed on GW/CC but both are more likely caused by current CE programs. An image of the slide appears in our reportage of the event here. Why are scientists, policy makers and our mainstream media not mentioning this enormous and glaring point. Why are our mainstream media relentlessly pushing climate fear and unfounded stories of extreme weather. Aircraft are causing the warming, or as it should be called the stalling. Many believe that a rather clever chap called Piers Corbyn – who is Jeremy Corbyn’s bother – is correct about his predictions that the earth has entered a cooling phase. Piers Corbyn runs a great website called Weatheraction – a long-range weather forecasting service – and is one of the most vocal Global Warming ‘deniers’ as they are now labelled by the warming alarmists. This would have meant that global mean surface temperatures should have started to decrease. Those of you over 40 will remember the claims that the world faced a mini-ice age back in the 70s/80s. This website is of the opinion that the programs to control our weather have been stepped up considerably in the last decade or so so as to prevent that cooling from materialising. If mean temperatures had started to decrease then the entire GW/CC hoax would have collapsed so no expense has been spared to ensure our atmosphere has been pumped full of ‘stuff’ that turns into thin cirrus-like cloud cover and warms the earth’s surface and our atmosphere. Sadly for the masterminds of this insane attempt to mess with our natural climate systems they have failed to keep average temperatures rising at all and indeed they have been stable now for nearly 20 years despite pumping millions of tons of aerosols into our skies, and despite a resulting rise in CO2 levels of around 20ppm. they have either misrepresented data or been wrong about global surface mean temperatures for nearly 20 years? they have failed to notice or simply not reported any data on ocean warming for nearly 20 years? all models that predicted global climatic chaos have been wrong as it has not materialised. The response from the speaker was muted and they cited some recent studies and ocean warming data. The convener quickly moved on and nothing more was mentioned about it. Ocean warming is supposedly the explanation as to why mean surface temperatures have not risen in nearly 20 years. It posits that the oceans have absorbed all this heat and will unleash it in a fury of vengeance at some point in the near future. Well, how convenient. In a nutshell what we are saying is the the ocean warming theory, though it should not really even be called a theory rather an excuse, as there is very little reliable evidence to back it up, was conceived only when the IPCC had to admit the world had not warmed. It is akin to a child being caught out as having lied and inventing another lie to try and get out of trouble. It clearly stinks and shows that the IPCC itself is not a reliable and trustworthy organisation, and is simply a vehicle of propaganda for the entire political alarmist movement. We haven’t mentioned yet that planes also release huge amounts of CO2. 12% or all transport emissions and 2.5% of global CO2 emissions and that is just official figures. If we then consider the CO2 output of the US military. The official figure is 320,000 barrels a day but independent analysis puts the figure much higher. As if that were not enough we also exposed of a fleet of Smokers over central Europe – but also seen and reported around the world – so the true figure is probably vastly higher. In fact we challenged David Keith on this point and he was unable or unwilling to address the issue, claiming we should produce a scientific paper to show how much these aircraft were contributing to CO2 emissions. A ludicrous suggestion and evasive tactic at best, akin to the police suggesting a caller to 999 should try and produce an estimate of the contribution to national crime figures for the person robbing their shed before they will investigate. Interestingly he mentioned the new Orbiting Carbon Observatory which he claimed would be able to identify and measure sources of carbon at local level. If you watch our smokers video it is hard to imagine that a fleet of planes could operate at that scale, pumping huge amounts of what appears to be externally-combusting fossil fuels into our skies, under the scrutiny of such a system without detection, so we look forward to seeing if the OCO2 manages to show this fleet of deliberate polluters or if they will cease operation or simply be glossed over. Thai Air A380 originating from Frankfurt. A scheduled passenger flight visible on Flightradar24.com, it flew in formation with several other ‘Smokers’ towards the far east. We don’t believe CO2 is a problem or that it causes warming, but it seems to have become the only thing, other than ocean warming, the alarmist camp have left in their fear-mongering arsenal so it is no surprise that those who rely on this are ignoring regular fleets of aircraft pumping huge amounts of black smoke into our skies.. Once again, even if you are unwilling to accept that aircraft are being used to deliberately pump chemicals into our atmosphere, aviation should still be at the top of the list of mitigation topics at all these events and yet no mention of it is ever made. We think that speaks volumes about the integrity of the alarmist GW/CC and undermines all of the ‘science’ we are presented with at these events. Why are private airlines subsidised with public money? 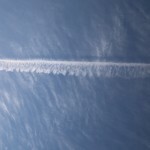 One thing we also find very worrying, and possibly confirms the idea that national governments are fully aware of the current aviation Climate Engineering programs is the fact that all airlines are now all private entities, most belonging to one of the 3 airline alliances and yet they are subsidised by public money. Most people are unaware that national carriers were sold off and re-branded flag carriers some time ago as they are not nationally owned anymore. They are also being heavily subsidised, to the tune of tens of $billions in some cases, with public money. Why? Read more about that here. The University of Leeds is the only organisation, along with its COSIC partners, currently conducting research into the effects of aviation on warming. This is mind-boggling when we consider that the complicit organisations that are trying desperately to convince the poor and confused public that all the haze and lines that we now see being left by aircraft have always been there! If they have always been there then aviation would have been top of the list from the beginning of the entire GW discussions back in the 90s and yet there is still no mention of ‘contrails’ being the primary cause of warming. In our minds it is the only cause of warming obviously, but its omission from all scientific debate is a glaring indication that we are being misled. 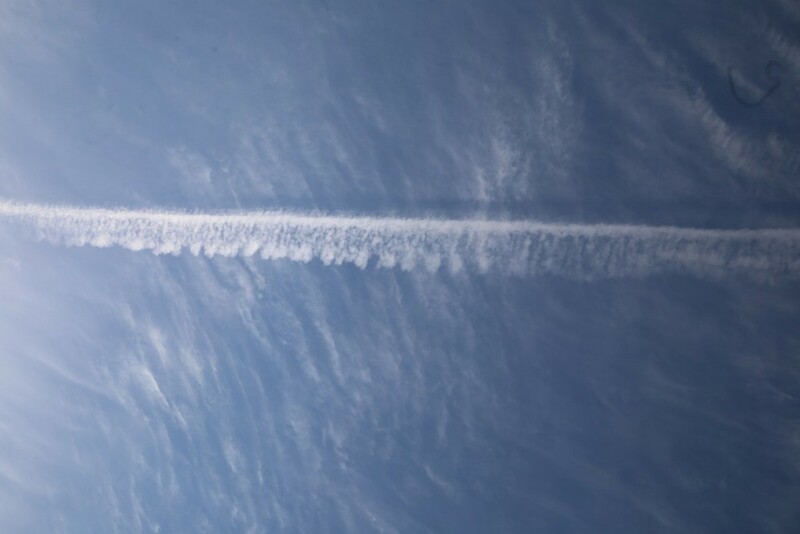 COntrails Spreading Into Cirrus (COSIC) aims to quantify the climate role of line shaped contrails caused by air-traffic that you often see in the sky. In particular, we aim to understand how they can sometimes spread into larger cloud decks. 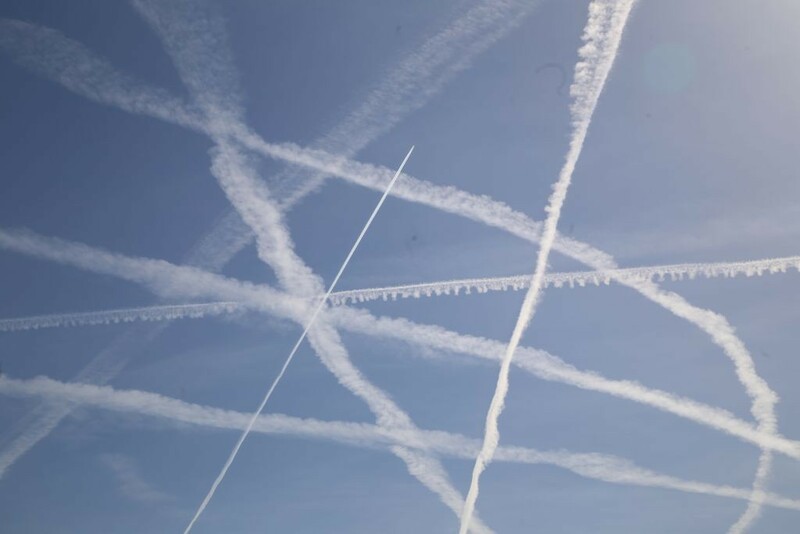 Such spreading contrails could add significantly to the CO2-driven climate impacts of aviation, but estimates of their effect are very uncertain. COSIC has made direct measurements of spreading contrail using dedicated flights over the UK with the BAe-146-301 large Atmospheric Research Aircraft. These measurements are now being used to incorporate spreading contrails into models of climate change. COSIC also aims to understand various stakeholder needs for aviation-climate science and communicate science results in the most appropriate way to the industry, policy makers and the public. COSIC is a Natural Environment Research Council (NERC) sponsored project led by the University of Leeds, collaborating with the Universities of Manchester and Reading, the UK Met Office, the Facility For Airborne Atmospheric Measurements (FAAM) and the Institut für Physik der Atmosphäre, DLR, Germany. 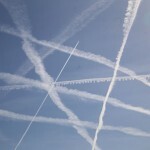 “I noticed the image of the sky covered with lines which are clearly from aircraft, and which you described as aerosols. Why is the massive contribution from aircraft pollution not mentioned in any of the discussion at this and other events. It seems clear to me that if cirrus from aircraft causes warming as suggested by several speakers here, and when we see our skies filled with lines from aircraft on a daily basis to the point that it dominates and even defines our weather, then it makes a mockery of all the ‘science’ we are being presented with”. The speaker became visibly agitated and mumbled something about the effects of warming from contrails being minimal. The convener of the session then interrupted and ended the Q&A. Once again we see a glaring problem for those that are trying to foster the GW/CC hoax. We also see a glaring and persistent problem with the entire CE debate, namely that aircraft emissions, even if natural, are such a serious problem that they are obviously the primary cause of any change in our weather systems and climate overall. To ignore this is not only bad science but literally ridiculous. I think it is reasonable then to conclude that trails from aircraft spread to form ‘cirrus clouds’ which cause warming. The answer, these people would have us believe, is to spray lots of chemicals into our skies to create cloud cover to prevent that warming. Err, I feel a slight contradiction arising here! It is not surprising that we are no longer allowed to film or record these events, or even take stills images. As we draw closer and closer to exposing the lies and inconsistencies and nailing once and for all the fact that nothing we are being told makes any sense, those who organise these events are becoming increasingly nervous. Regular, flights of high enough frequency to cover all populated areas irrespective of passenger numbers or profit figures. A ticket pricing structure that encourages passengers to fly spread across as many flights as possible and at all hours of the day to justify those flights occurring regularly from dawn to dusk. To be subsidised by central sources. To convince the public that trails from aircraft are natural and have always been there. To reduce luggage allowances so to free up capacity for containers of chemicals to be transported on each flight. All the above are things have been put in place over the last 20 or so years. When we then look at the security and secrecy of the airline industry as a whole we realise it has been deliberately structured specifically for that purpose. There have even been clues recently that pilots, even commercial ones, might have been made to sign the official secrets act, which is something we encourage others to try to follow up on, and would explain many things. It seems clear to us, and hopefully to our readers, that all the components of a potential Climate Engineering program have been put in place. When we then consider this in the context of the serious flaws in the arguments for introducing this officially then it is very hard to come to any conclusion other than the aviation industry has already been made ready for this. In our minds it is already executing it. The minority, complicit scientific world is trying to create a problem serious enough for them to demand it happens officially, and our governments are trying very hard not to mention it at all in the hope they won’t have to discuss it publicly because they know we will say no. The only thing that anyone involved in this scam can say to counter any of this is that the trails have always been there, which they clearly have not, and that we are all paranoid and delusion. Fortunately for us that tactic is wearing very thin now as more and more people wake up to the bitter reality and realise we are being lied to on a grand scale. The image on the left is the one NASA just published. The other is from 2000. Need we say more?